You can also save different column profiles. This enables various users to have different columns displayed for the same folder. 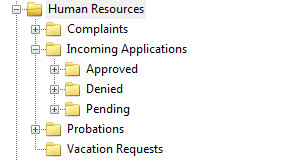 Example: Accounting, Engineering and Human Resources each have a different saved column profile for the same folder below. Reuse fields across multiple templates when possible, to keep things clean and efficient. 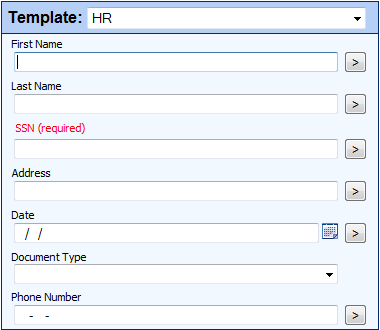 Example: Create one “First Name” field and then apply it to multiple templates rather than creating a new “First Name” field for each template. Compartmentalize the repository on a “need-to-see” basis. Only give users the minimum right they need to do their jobs. 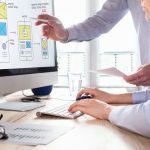 Example: Accounts Payable employees do not need to see the “Accounts Receivable” folders in order to perform their business functions and vice versa.